I think I may have mentioned a time or two (or a hundred) that snickerdoodles are my favorite cookies. An upgraded sugar cookie, coated in cinnamon and sugar and so soft and fluffy it’s like you’re eating a sweet cloud. 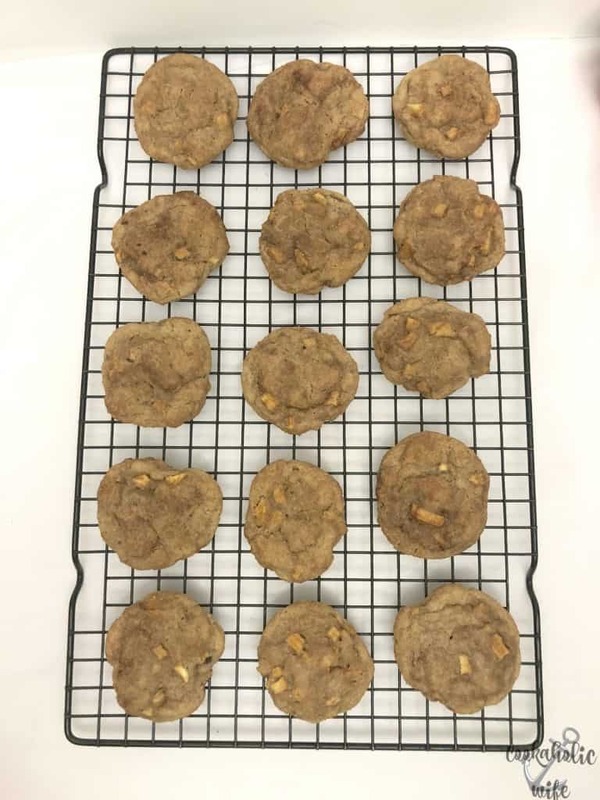 Of course, for years I never managed to get these cookies right, always having mine flatten out too much when baking them. They still tasted great, but they didn’t have that pillowy look that snickerdoodles should have. But finally, I found a recipe that worked and now I can’t stop making them! 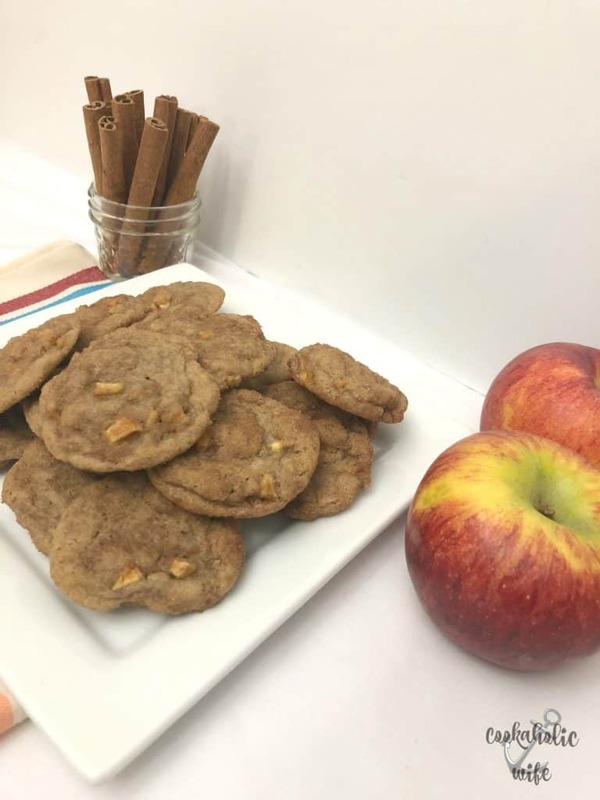 Apples, cinnamon and sugar pair so nicely together that it was only common sense to add apples to a snickerdoodle cookie, giving me appledoodles! 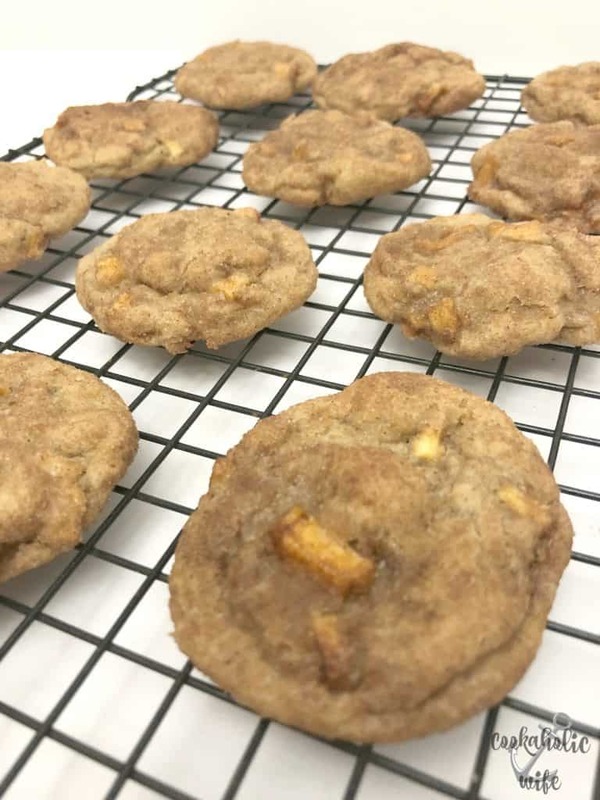 A cinnamon sugar cookie studded with fresh apples! In a medium bowl whisk together the flour, pudding packet, baking soda, apple pie spice and salt. set aside. In the bowl of your stand mixer, combine the butter, brown sugar and sugar. Beat on medium speed until light and fluffy. Add in the egg and vanilla and mix until combined. Slowly add in the flour mixture and then the diced apples, mixing until combined. Turn out the dough onto a piece of wax paper. Form into a ball, wrap up and refrigerate for 1 hour. In a small bowl, stir together the sugar and apple pie spice coating. 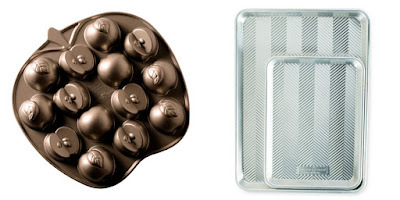 Scoop tablespoon sized pieces of dough out and roll in your hands to form into a ball. Toss in the sugar and apple pie spice mixture, coating it and then place on the prepared baking sheet. Place cookie dough 2 inches apart. Repeat with remaining dough. Bake for 11 minutes and then remove from the oven. Allow cookies to cool on the baking sheet for 5-10 minutes before removing to a wire rack to continue cooling. 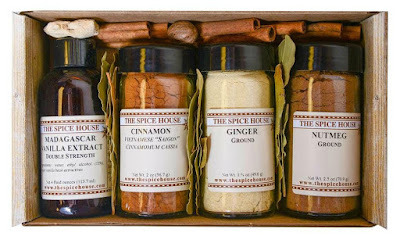 Apple Pie Spice can be made by combining 4 tablespoons ground cinnamon, 1 1/2 teaspoons ground nutmeg, 1 1/2 teaspoons ground cardamom, 1 teaspoon ground ginger and 1/2 teaspoon allspice. Mixture can be kept in the pantry for 6 months. WOW are these cookies good! I’m glad I made the decision to switch out the apple pie spice for the cinnamon in the coating. It brings a little bit more life to the cookie and really amps up the spice flavor. 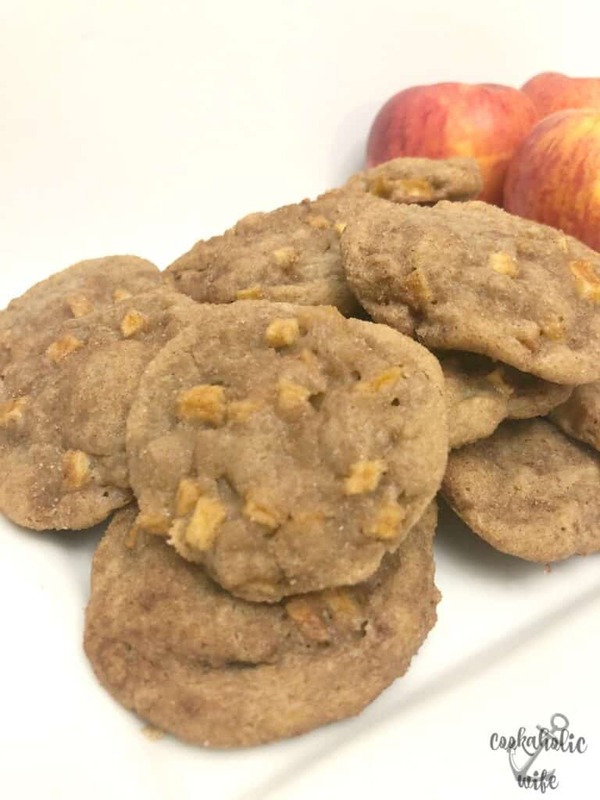 The apples baked into the cookies are still sweet and soft and one sniff of these cookies baking will make you ready for fall with long walks through apple orchards and pumpkin picking! And don’t forget, there’s an amazing raffle you can enter to win LOADS of cool stuff. 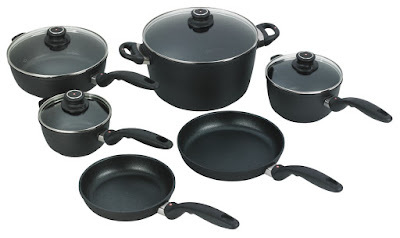 Check out what all of the sponsors are giving away! 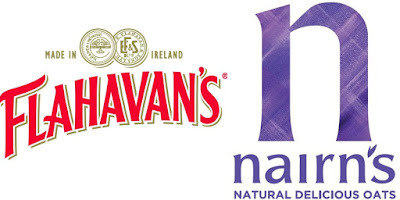 The Winner will receive 1 case of 2-lb granulated sugar (20 bags) + 1 case of 2-lb light brown sugar (24 bags), 2 silicone baking mats and 1 custom apron. 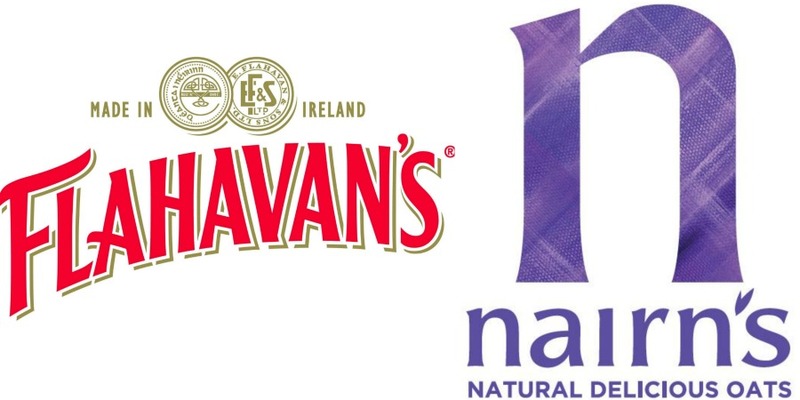 Flahavan’s and Nairn’s have teamed up to bring out an oatstanding prize pack filled with naturally cream, sustainable Flahavan’s Irish Oatmeal and our go-to gluten free grahams by Nairn’s. We have a good gut feeling that you’re going to love it! Love that you named them appledoodles. Very clever. I can’t wait to try these and I love that you use vanilla pudding in the recipe! 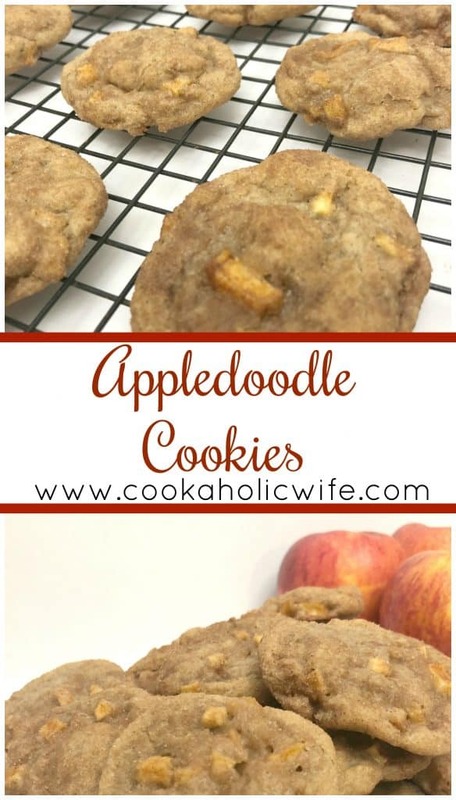 I love that name, I’d eat them just because they’re called appledoodles. Of course the fact that they look delicious doesn’t hurt either!